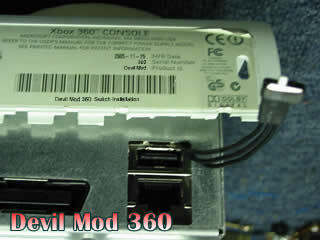 ::::>GRmods ::: DevilMod360 for Xbox360! Play$tation2 Plug&Play Hacking - Ok - Worlds Exclusive! Play$tation2/P$two Minimum Soldering - Ok - Worlds Exclusive! 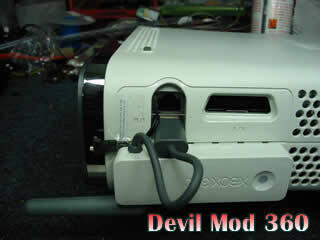 Xβox All models All modchips Plug&Play Hacking - Ok - GRmods Exclusive! before you close back your console. 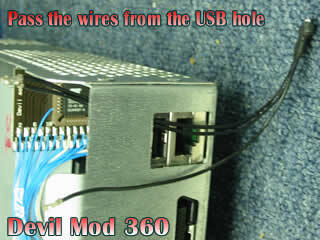 inside the 360 case, simply by pressing them into. 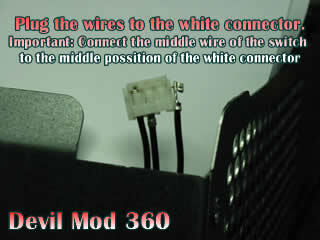 switch to the middle possition of the white connector! 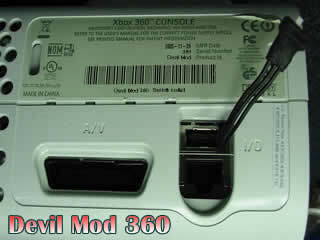 Step#5: Now put back the top cover of 360 case. 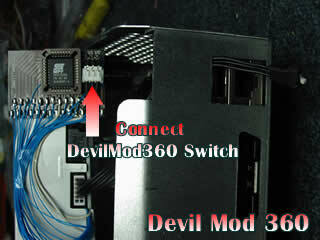 between the onboard chip and extra one of DevilMod360!